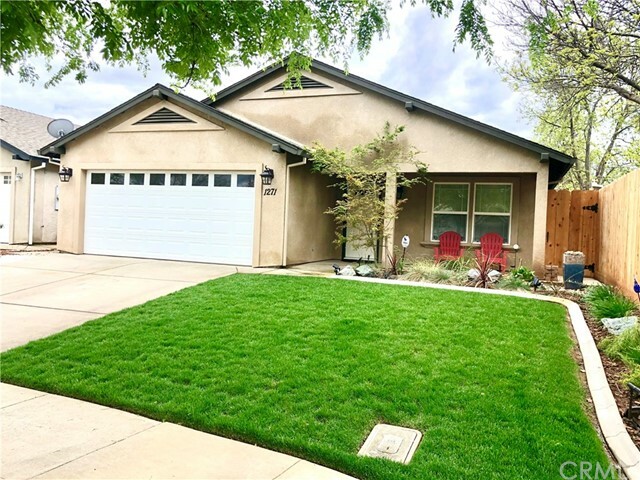 Beautiful turnkey home in desirable Chico neighborhood. From the spacious designer master bedroom with walk-in closet to the covered patio that leads to a nicely landscaped yard, this house has so much to offer. Tall ceilings with wired plant shelf, Corion counters, stainless steel appliances, and eating bar in the well-appointed kitchen the list goes on. Whole house fan, separate laundry room, ceiling fans in all bedrooms. Make an appointment to see this gorgeous home today!